IEM opens up the doors of young minds who dare to dream. It encourages the spirit of free enquiry and imagination. Here dreams take Shape. The Institute tries to indicate the sense of human values and discipline to make stuudents respectful towards human being,realise and demonstrate their best potential and be a winner in life. The Institute is affiliated to WBUT. B.Tech., M.Tech., MBA courses are under AICTE, Govt. of INDIA. BBA / BCA / M.Sc. Placements: Institute has strong placement cell. Four placement officers under the chairmanship of the Institute’s director work as placement cell. Very effective Campus Interview is a regular feature of the institute. Campus: IEM opens up the doors of young minds who dare to dream. It encourages the spirit of free enquiry and imagination. Here dreams take Shape. The Institute tries to indicate the sense of human values and discipline to make stuudents respectful towards human being,realise and demonstrate their best potential and be a winner in life. The Institute is affiliated to WBUT. 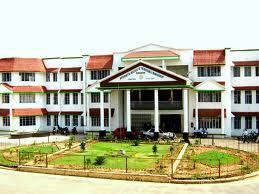 B.Tech., M.Tech., MBA courses are under AICTE, Govt. of INDIA. Central library: A beautiful & modern library well updated books, journals & multimedia learning aids, provides the student an oppertunities to keep themselves well versed with all engineering & management related information. Hostel: Limited boarding & lodging are available separately for both boys & girls.